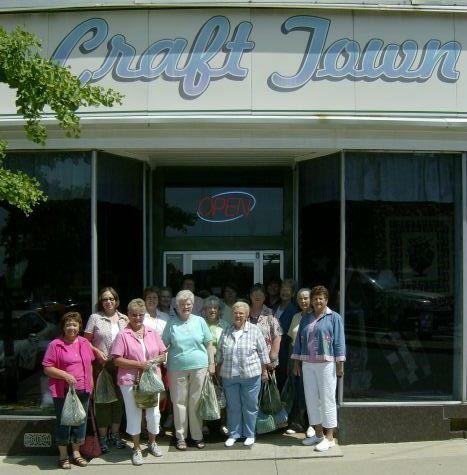 A Field Trip for the First United Methodist Church Quilters. 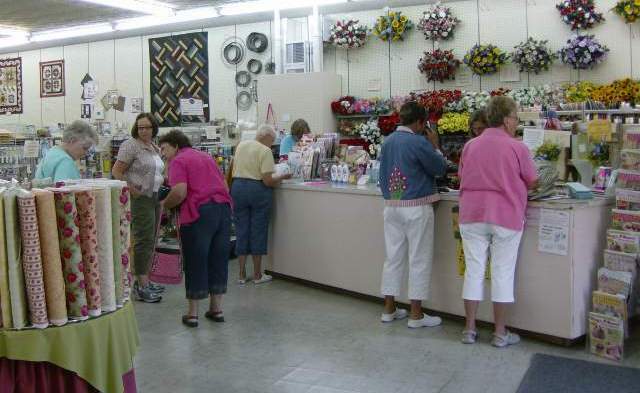 This is the First United Methodist Church Quilters of Mooresville, Indiana. They visited the store Tuesday July 14, 2009. 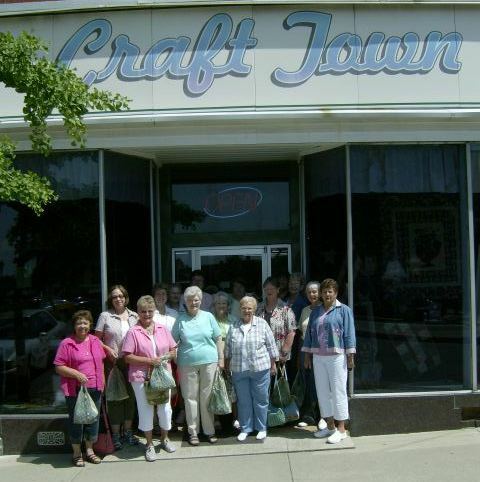 It was a pleasure to have them here.The groups original mission was to make quilts for ill and troubled children. Since then they have expanded to make baby quilts for families in their church, prayer quilts for chronically or terminally ill members. 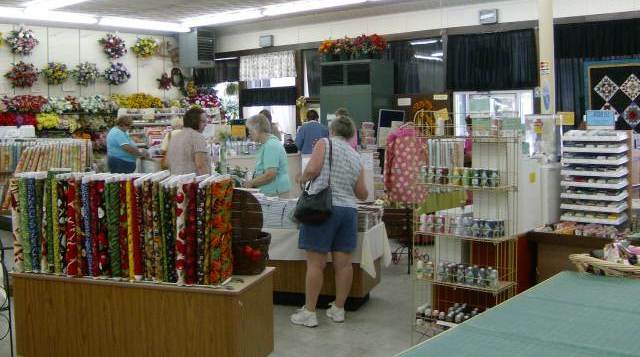 They also sew bags and aprons to be included in their yearly mission trip to Canali, Mexico. These are some very busy ladies. 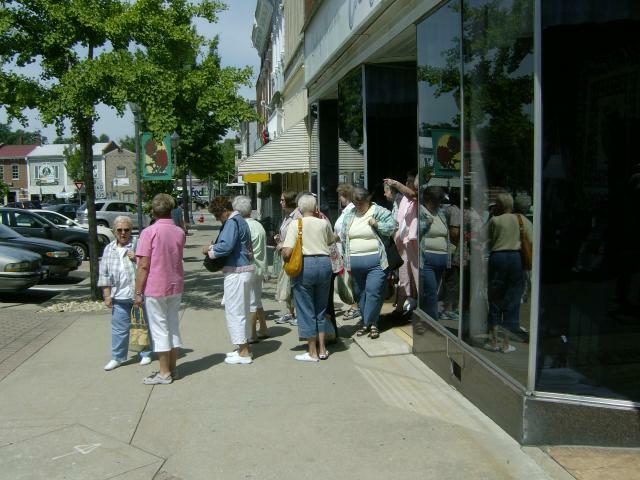 Here a couple of the ladies look around while others are checking out. Some of the ladies getting one last look in before it is time to go. 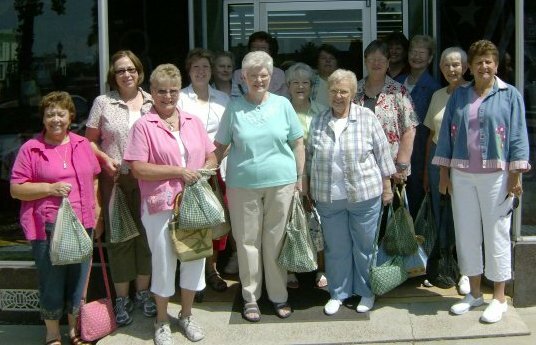 The ladies take time to pose for a picture before heading off to eat lunch. The ladies had a good time and now it's time for lunch. 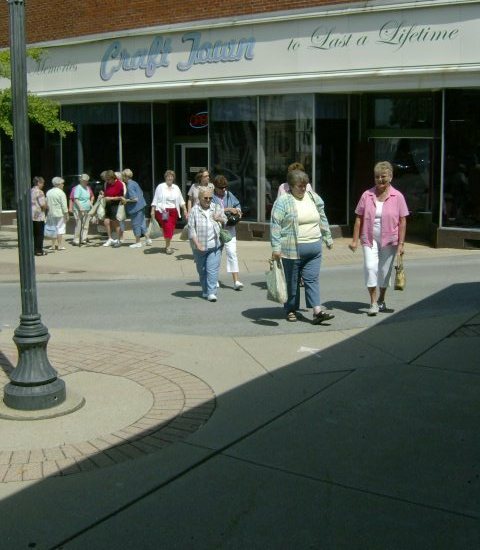 They are on their way to enjoy a nice lunch at Christie's on The Square. This entry was posted on Friday, July 17th, 2009 at 3:41 pm and is filed under Uncategorized. You can follow any responses to this entry through the RSS 2.0 feed. You can leave a response, or trackback from your own site.